This album is not progressive rock, it`s world music, but very good! Just for fans or brazillian and latin music lovers (like me)! Jon Anderson sings in portuguese and spanish aside Milton Nascimento (Amor Real), girls of Puerto Rico (Latino), Mountain Girls (A-DE-O) and others. Some songs are sung in english with Deborah Anderson or Jon alone. Dança do Ouro (gold`s dance) with Boca Livre is the one I like more. Boca Livre is a popular group in Brazil with beautiful vocal harmony (they are the brazilian Crosby, Stills and Nash). With Jon Anderson, this song became better than original (recorded in "Dançando pelas sombras" [dancing by shadows] album). If you liked this album, you have to listen Milton Nascimento, album Angelus. It has a song with Jon Anderson and others with Peter Gabriel, James Taylor, Pat Metheny and other musicians. Jon Anderson released two contrasting albums in 1994. While "Change we must" proved to be a delightfully original album featuring orchestral arrangements of familiar songs, "Deseo" is rooted in world music and ethnic influences. The contrast between the two albums is stark, and for me this is by far the inferior. Each of the 12 tracks here has a featured artist from Latin America performing alongside Anderson. These range from second male vocalists to female groups. Much of the singing is in Portuguese (I think) including some by Anderson himself. Jon's daughter Deborah features as a backing vocalist and providing "inspiration" throughout the album. The tracks are all short, the longest being the title track at 5½ minutes, and each has the same flavour as the last. I cannot say I spotted anything worthy of the accolade of standout track but neither is their anything remotely offensive. In prog terms, the album is a complete non-starter. The message is therefore simple. If you enjoy your world music Latin American style, this may be for you; otherwise I would suggest giving "Deseo" a miss. 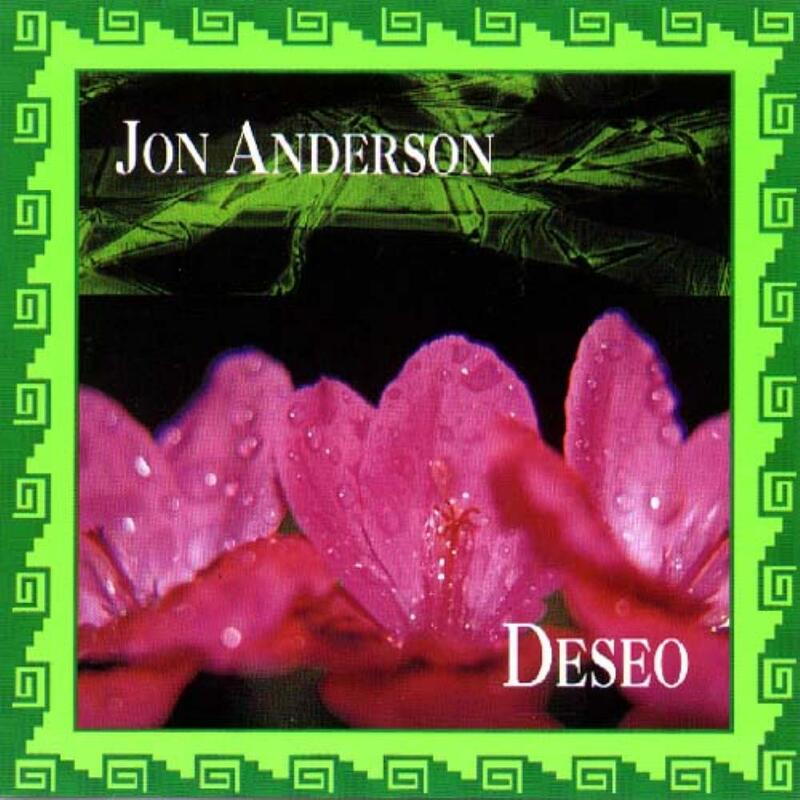 Deseo is Jon Anderson's foray into Latin American music. On this collection, he shares the vocals with a different Latin American vocalist or group on each track, most notably, Milton Nascimento. Note that this album was released on the new age label, Windham Hill, so don't expect anything truly progressive here. As a Latin American music collection, I find the music quite listenable. The songs are mostly upbeat, well written, and nicely recorded, with the Brazilian, Caribbean, and Mexican rhythms pumping along. As a prog fan, there is not much here, save for some of Jon Andersons unusual vocal harmonies. I came very close to giving this three stars, but the lack of prog-ness forces me to round my rating down to two stars. Sooner or later it was going to happen. After having inserted south-american percussions even on his masterpiece Olias of Sunhillow, and having made this presence more frequent with the time, as the following solo release and ABWH witness, Jon Anderson makes a "Brasilian" album full of samba and world music, even if I think he sings in Spanish instead of Portuguese other than in English. Is it a bad album? No, it is not. If you enter a shop to buy Vinicious de Moraes and grab this by mistake you can have a nice sursprise, but if you are looking for anything remotely reminding to the Yes yu'll surely be disappointed. But I'm saying that this is not bad. There are also few symphonic moments here and there, hidden behind the percussions, Jon's voice is good as usual (if you like his falsetto) and when the percussions are more relaxed as in "Floresta" it's really enjoyable. A good non-prog album from Jon Anderson which could have up to 4 stars in a newage or world-music site. On PA I can only rate it with 2. 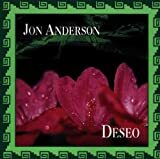 Post a review of JON ANDERSON "Deseo"